Saab Law Group understands that breakdowns in relationships can be a stressful and difficult time. We listen to your concerns throughout this difficult time and aim to make the process as smooth as possible. Saab Law Group offers family and relationship law advice in a large number of family law disputes. These areas include divorce applications, spousal maintenance and any negotiations and disputes that may arise within this context,which also extend into de facto relationships. Therefore, assessing and providing guidance for financial agreements is another service we also provide. Financial agreements are similar to the well-known pre-nuptial agreement, but can be signed before, during or after a marriage. Under Section 90D of the Family Law Act, these agreements cover matters like the division of property, finances and debts after a marriage breakdown, superannuation, spousal maintenance as well as other issues. Further advice in matters regarding property claims and settlements including guardian and trustees is also provided. We can provide assistance in parenting plans and custody matters including consent orders, initiating applications and response to initiating applications. An initiating application is essentially the procedure undertaken if you are seeking final orders from the court in your family law matter. If you are served with an initiating application, that makes you the respondent and we will be able to assist you and clarify such formalities and processes. As the safety and well being of the children is paramount in family law disputes where children are involved, we provide assistance with child support and arrangements, enforcement orders concerning children including AVOs, parenting orders, Family Law Watchlist applications (previously known as Airport Watchlist), family violence and child abuse. Child abuse and maltreatment refers to any behaviour by parents, caregivers, other adults of older adolescents that is outside the norms of conduct and entails a substantial risk of causing physical or emotional harm to a child or young person. These can include acts of physical abuse, emotional maltreatment, neglect, sexual abuse and exposure to family violence. Saab Law Group will strive to ensure that you understand all your options available. 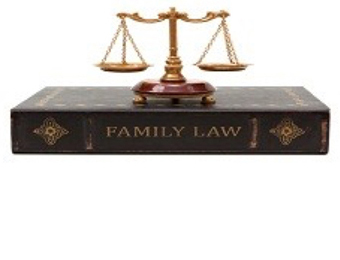 We believe that family law matters require a comprehensive approach in order to be resolved. Therefore, we offer various approaches, options and representation for your particular needs. Should you need any guidance in your family law matter, call Saab Law Group today for legal solutions tailored to your individual needs.